Romanian politics have managed to infiltrate into my consciouess through the very thin and filtered funnel of information that reaches me from the world. I know very little about Romanian government or politics. I don’t know more because every time I’ve thought about learning more I realized I don’t want nor feel a need to know more. In my mind there is practically no government in Romania. There is an inevitable beaurocratic system that runs parallel day to day life … beyond that there is a void. Void’s tend to fill up and the void that was where a Romanian government should have been has indeed filled up with two powerful substances that are heating up and heading towards combustion. One lethal substance is corruption – a persistent residue left behind from communist and dicatorship times. The other lethal substance is corporate greed which has probably always been present but escalated dramatically since Romania joined the EU and became addicted to dependent on EU/IMF „bailout” funding. The bad news is that corruption and greed bind tightly to each other … the good news is that they also burn out together. This burning out is apparent all over the world … even (and especially?) in so called democracies where corruption is not supposed to be as dominant a factor. Economic collapses, disasters and corruption are outranked only by the outraged voices speaking helplessly out against them. I assume that these economic waves have sent out ripples here in Romania as well, but it seems to me that to a lesser degree (I haven’t heard, yet?, of any banks collapsing in Romania). When I lived in Israel this, oh so typical, combination of local government corruption and global financial storms worried me. My life was tightly integrated and dependent on money which in turn was strongly influenced by both. However here in Romania, where both the corruption runs deeper and after the world economic crisis has continued to escalate, I am not worried. Not at all. I’m not worried because we live a village life. Plants are very sensitive to water (rains are expected this weekend and during next week) … however they are relatively immune to politics, economics and corruption. The same goes for chickens, cows, goats, sheep and pigs – they all continue to grow and produce regardless of any political or financial turmoil. Horses and carriages (unlike tractors) are unmoved by continue to move regardless of the rising prices of gas. Life here is resilient. When I say „here” I don’t just mean our village … but village-life in Romania. Village life in Romania is not a neglibile phenomenon, it represents almost half of the population … it IS Romania. This makes Romania, as a country (in my mind) a relatively resilient place. Resilient enough to withstand corruption and greed? I don’t know and I am not waiting around to find out. I prefer Romanian corruption to developed, western, industrialized/capitalized corruption. I prefer it because it is visible and blunt. It makes an easier target then, for example, western corruption where money and politics are in bed together behind close doors. Here in Romania politicians are childish compared to their western counterparts … they do everything out in the open. The question is what to do about it? I am not one to go marching in the streets in protest. Protesting against something is not in my nature and, in my opinion, not enough (the current political situation in Romania is a direct result of the protests held here just a few months ago) … there has to be an alternative constructive path to complement destruction. Romanian politics have (in a few months) gone through most of the alternatives … and what we currently see is simply what is left. Upcoming national elections are practically meaningless if all you can do is choose between not choosing and choosing the best of the worst. My opinion is that instead of picking an unwinnable fight, it is better to step back, regroup and to aim to completely circumvent existing problems. Cutia Taranului is an example of such a strategy. 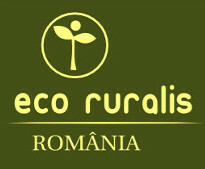 Local grown Romanian produce has been pushed aside by many social, market and political forces. I am resisting a temptation to make a short list of these forces … I believe they all deserve deep caring inspection and attention. I will instead give one current example of a destructive policy about to go into effect. If you are a Romanian peasant who, for example, saves tomatoe seeds (very easy to do) from this years tomatoes to plant next year, you may find that next year you will not be allowed to sell those tomatoes in markets (or any other official channel). Current legislation (I don’t know exactly where it is in the legislative process) will make it illegal to sell produce that was not grown from authorized purchased seeds (with proper paperwork to prove it) … making it illegal to sell produce grown from saved seeds. This is a direct product of greed (agro-businesses interested in selling their seeds) and corruption (local politicians making a profit from cooperating with agro-businesses). Mind you, this immoral, unsustainable, dangerous change is going to be perfectly „legal”. Cutia Taranului was born when I asked myself what could be done about the current situation. I didn’t (and still don’t believe) in trying to fight or change the current reality. I did (and still do) believe in creating an alternate reality: if I am a peasant and you are a friend from the city, nothing can prevent me from giving you food I have grown and nothing can prevent you from paying me something in return for that food. No legal, social or political energy can prevent that from happening. It is in that spirit that Cutia Taranului was created. It is designed to go around all the existing obstacles directly into a new, simple and direct paradigm. Cutia Taraului provides affordable food safety for city-dwellers and financial safety for peasants. It is a sustainable community that is resilient in the face of current and future political storms (and then some). It is also a strategy I would to see replicated on a national scale. I hope to be able to support and partake in an effort to create an alternative socio-political reality, in the spirit of Cutia Taranului, that will completely circumvent the existing and dominant socio-political forces and propel Romania into a new, simpler and more direct social paradigm. Because of its immature political culture I believe Romania is a unique position not only to better itself but also to become a role model for other countries. In Greece there is talk of a „potato revolution” and people are turning to farming to escape economic collapse. In the midst of economic collapse Greece is trying to become, of all things, Romania! If you put on the right shade of glasses you will see that (a) Romania is in many ways ahead of the curve and (b) staying true to this course requires inventing a new future rather then expending energy on impossible obstacles.